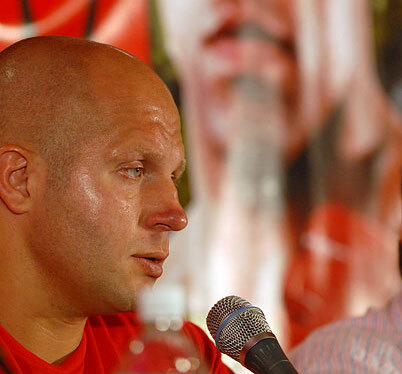 After a general agreement that Fedor Emelianenko’s days as a Strikeforce fighter is soon to be over, he pointed out how happy he is with the California-based promotion. And guess what? The “Last Emperor” is likely to sign another deal. For him, another contract of four to six fights should be discussed. Rumors has it that after his lost against Fabrico Werdum two months ago, M-1 was in a brink of bankruptcy due to loss by its principal assets. A huge portion of the company’s revenue came from cross promotional agreements that they were able to secure with Strikeforce. However, most of it came pretty much from every Emelianenko’s promotional fights. Therefore. when Fedor’s stock dropped together with his lost against Werdum, M-1 has lost some of its bargaining power also. Still, extending the Last Emperor’s contract with Strikeforce promotion is the best deal that they can make. It is because M-1’s client options are somewhat limited in North America, and that they can gain more revenue if they renew their co-promotional agreement with Strikeforce. Strikeforce CEO, Scott Coker, pointed out that Fedor will not likely to get a shot against Alistair Overeem yet, since “The Demolition Man” will probably fight versus Antonio “Bigfoot” Silva. As for a rematch with Werdum, the Last Emperor will have to wait until the Brazilian submission expert recovers from an elbow injury. Evgeni Kogan, M-1 Global Director of Operations, revealed that negotiations about his client’s next fight is on the way. Potential opponents haven’t been named, but if truth be told, Strikeforce doesn’t have many legitimate contenders for Fedor — aside from Werdum and Overeem. Silva is not a bad resort, but he doesn’t show any indication that he is equally skilled like the Last Emperor. Can new blood like Satoshi Ishii or Josh Barnett shake the division up a bit? Who’s the next big opponent for Fedor Emelianenko? Give us your insights by leaving a comment.